The Trump Administration hates the Public Service Loan Forgiveness Program (PSLF). Signed into law by President George W. Bush in 2007, PSLF allows student-loan debtors who work in public-service jobs to have their student loans forgiven if they make 120 student-loan payments in a qualified repayment plan. The first PSLF participants to have accumulated 120 student-loan payments became eligible for debt relief in 2017--10 years after the program was introduced. As has been widely reported, the Department of Education approved less than 1 percent of the applications for PSLF forgiveness that it had processed as of September 2018. In fact, DOE said 70 percent of the applicants were not eligible for PSLF participation. So far, over one million student-loan borrowers have applied to DOE to have their employment certified as PSLF eligible, and millions more are counting on PSLF for debt relief but haven't applied yet. It's a mess. And it is especially a mess for people who borrowed $100,000 or more to get a law degree or other graduate degree. According to the American Bar Association, the average debt load for people who attended a private law school is $122,000. For many of the people who accumulated six-figure student-loan debt to finance their graduate studies, PSLF is the only viable option for debt relief. Betsy DeVos, Trump's Secretary of Education, apparently does not care that her agency has frightened or angered millions of people who are counting on PSLF to manage their student loans. According to a news report, a senior DOE official said that DOE does not support PSLF and would not implement it if it were not legally obligated to do so. But the Democrats are "woke" about this problem. This week, Senators Tim Kaine and Kirsten Gillibrand introduced a bill to overhaul the PSLF program. Thirteen Democratic senators signed on as co-sponsors, including all the U.S. Senators running for President (Elizabeth Warren, Kamala Harris, Bernie Sanders, Amy Klobuchar and Cory Booker). The Kaine-Gillibrand proposal defines eligible public-service organizations broadly to include all federal, state, and local government agencies and all charitable organizations that qualify for tax-exempt status under 501(c)(3) of the tax code. As Jason Delisle pointed out in a 2016 analysis of PSLF, that definition applies to one quarter of the American workforce. In fact, the bill's definition of public service differs markedly from the one developed by DeVos's DOE. DOE defines a public service organization as one that is primarily involved in public service,thus excluding organizations like the American Bar Association, which is primarily devoted to serving the legal profession, although it engages in some public service work. I support passage of the Kaine-Gillibrand bill, and I hope it is enacted by Congress. But we should not deceive ourselves about the cost of PSLF. Thousands of people seeking debt relief under PSLF owe $100,000 or more. Most of these people are making income-based monthly payments on their loans that are not large enough to cover accruing interest. Their debt load is increasing month by month as accrued interest gets capitalized and added to their loan balances. 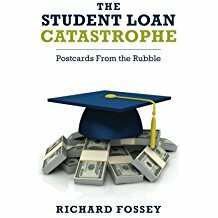 If these people's student-loan debts are forgiven after 10 years, the government will essentially be forgiving the entire amount that was borrowed plus a lot more due to the accrued interest that will also be forgiven. Remember Josh Mitchell's story in Wall Street Journal about Mike Meru, who borrowed $400,000 to go to dental school? Dr. Meru is making payments of about $2,000 a month in an income-based repayment plan, but his debt has grown to $1 million due to accrued interest. If Meru gets a qualified public-service job and holds it for ten years, DOE will forgive the entire $1 million plus additional interest! This is a huge problem, and the Kaine-Gillibrand bill won't solve it. Under the GRAD Plus program, graduate students can borrow the total cost of their graduate education--tuition, books, and living expenses--no matter what the cost. It is not surprising then that graduate-school tuition prices went up dramatically after the GRAD Plus program was enacted. If the bill becomes law, the Kaine-Gillibrand proposal will give relief to millions of student-loan borrowers. But the bill is just a stop-gap measure. As I have said, the only solution to the student-loan crisis is bankruptcy relief for honest debtors who can't pay back their student loans. More than 45 million Americans have outstanding student loans. I think most of them would vote for a presidential candidate who endorses bankruptcy relief for distressed student-loan debtors.